Can corruption be banished from the Indian Church? Pope Francis is strong and unceasing in his demands that corruption must be stamped out, and has taken several major steps to cleanse the Augean stables of the Vatican……..
Will Archbishop Cardinal Oswald Gracias follow HOLY FATHER, POPE FRANCIS, and make similar efforts to stamp out and cleanse the stables of Bombay Archdiocese? Let us wait and watch. No police complaints have been registered, and it remains something confined to the rumor mill. Since it was not government money, official agencies cannot confront the allegations unless someone files a complaint. But it highlights a pervasive problem in India that doesn’t spare the Catholic Church. Pope Francis is strong and unceasing in his demands that corruption must be stamped out, and has taken several major steps to cleanse the Augean stables of the Vatican. Corruption, mismanagement of lands, buildings and institutions, and the integrity of church personnel handling money at all levels have become a major issue in a growing section of the Protestant and Independent churches across India. Several Protestant bishops and senior members of the clergy in various states have gone to jail – and were released on bail pending further inquiry – and many others are on the verge of arrest following complaints of alienation of property or defalcation of funds. Many major denominations are mired in court cases trying to retrieve their lands and buildings from errant pastors and bishops. Even some senior Catholic bishops have had cases filed against them for selling off prime property in some states. Such charges have not done their ecclesiastical and temporal reputations any good. While the Catholic Church in India and its NGOs do not rate as high on the corruption scales as do others, casting the net wider in defining corruption could land it in hot water. If the definition were to cover, as it should, bribes given by Church functionaries and religious persons to gain government permission for projects, the figures could really shoot up. Understandably there has been no unified movement against corruption in the Church in India even though there is a national campaign against both opacity and corruption. The grumblings remain localized and denominational. It’s not clear if the apex organizations of various denominations have ever prioritised an anti-corruption agenda. A movement initiated by a group of Christian businessmen from various cities in the state may offer a ray of hope. Disgusted with what they have seen, the group four years ago began Operation Nehemiah, which seeks to awaken the Church to the rot that is slowly setting in. Three major consultations have taken place to develop a code of conduct and transparency, both personal and corporate, to check, control and eventually weed out every shadow of doubt in the handling of money and property. The Catholic Church was not officially present, although two retired archbishops and several lay persons have been a part of the process. Operation Nehemiah believes that the corrupt can come back from the brink. Central to this thinking are the tenets of confession and contribution. The ethical code being devised differs from the criminal law of the land on two critical issues. One is the important fact of reparation, making good the loss caused to the Church. Second, instead of sending the pastor to jail, the code, in the shape of a document, banks on the redemptive quality of God’s mercy to ensure that the guilty can be encouraged to once again become honest members of society. It is still too early to assess if such initiatives are mere pipe dreams of a few honest men and women, or whether they can become the sinew of a larger movement. But it is quite clear that if the Church does not cleanse itself of corruption, the government’s agencies may enter the scene. And that will not do anyone any good. India’s political opponents unite in targeting the Church. India’s microscopic Christian community and its clergy may become “collateral damage” in an unspoken but very palpable competitive wooing of the majority Hindu community in the run-up to next year’s general election, as well as the preceding elections to the state legislative assemblies. The political trend can be seen in three states. Maharashtra is understood to be planning a law to criminalize conversions, while the Himachal Pradesh government is aiming to reverse a High Court judgment that earlier deleted some of the more vicious components of its anti-conversion law. This notorious law forced citizens and their pastors to give a month’s notice to the state authorities and then await their decision before they could formally profess the faith. 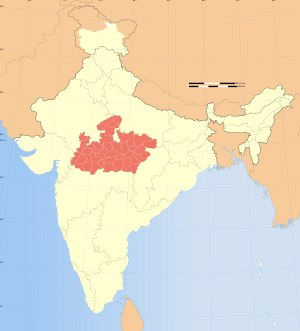 Despite the High Court ban, neighboring Madhya Pradesh now wants to incorporate it into its existing, ironically named Freedom of Religion Act. In fact it goes a step further and wants the police to launch mandatory enquires into why a person wants to change his faith and leave the Hindu fold. Four year jail terms and 100,000-rupee (US$1,700) fines are in the offing for pastors who break the law. In the 1960s, Madhya Pradesh was among the first Indian states, with Orissa and Arunachal Pradesh, to seek a curb on conversions to Christianity. Ruled by the BJP (Indian People’s Party), it has now gone entirely overboard on the Hindu-centric agenda of its ideological parent, the RSS (National Volunteers Association.) Their prime ministerial candidate Narendra Modi has made it clear where his priorities lie, wasting no opportunity to stress his support for the Hindu heartland. The mainstay of the ruling Congress Party’s political platform has always been a non-partisan ideology, with affirmative action for the poor, the marginalized, religious minorities, tribals and dalits. But it is no secret that Congress also harbors majoritarian elements which can surface any time the party has to seek the Hindu vote. What complicates the politics of these moves against conversions — and the phrase is generally understood to mean conversion to Christianity, and not to Islam, Buddhism, Sikhism and Hinduism — is the focus on Christian preachers and evangelists. Since Indian independence, Islam has not really been involved in proselytizing, with its numbers growing only through birth. There have been many instances of Hindus converting to Sikhism, while conversions to Buddhism take place on a mass scale from the ranks of the dalits, who are then called Ambedkarites or neo-Buddhists. As many as 50,000 have been converted in one single event. RSS supporters in the tribal areas routinely convert animistic and Christian tribals to Hinduism, under what they call their Ghar Wapsi program, which translates as “homecoming to faith.” There has been no legal action ever against this. In states where the police and the subordinate bureaucracy are known to be bigoted and partisan, anti-conversion laws can become extremely punitive. Human rights activists have often pointed out that such laws encourage the persecution and victimization of the Christian community, especially of the clergy. The Church does not seem to have anticipated this. It has no thesis for a united pre-emptive challenge to such laws. Individual groups go to court, but it is not an easy process. Some sections of the Church, in fact, are quick to blame Pentecostal groups for inviting such laws by their provocative evangelization. Others seem ready to sue for peace and are already making overtures to the BJP: the YMCA feted Narendra Modi at a function in Ahmedabad last month. The last time the Church voiced its anger was when then prime minister Atal Behari Vajpayee called for a “national debate on conversions,” and the Catholic Bishops Conference president Archbishop Alan de Lastic challenged him, pointing out that such talk encouraged violence against hapless Christians in the country. It remains to be seen how the Church will respond now. 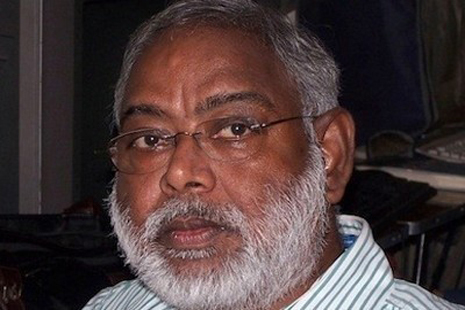 John Dayal is the general-secretary of the All India Christian Council and a member of the Indian government’s National Integration Council.